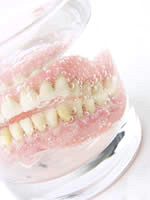 If you have a few or all of your teeth missing, one solution is to have a denture. A denture is made from hard-wearing material (acrylic or metal) that mimics the look of teeth and gums to give your mouth a natural appearance. 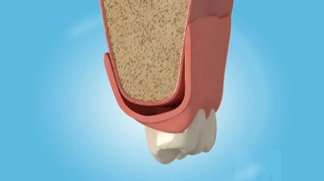 Your denture will be made to fit snugly on your gums and you will be able to remove it for cleaning. "Your Complete Guide to Overcoming The Problem of Missing Teeth"
What different types of denture are there? Very pleased with my new denture. My old denture was so bad that I would spend more days not wearing them because they did not fit properly. They would slip every time I ate and it really affected my speech. I would have to use more and more glue to keep them in place. Thanks to Dr Dixit, I now have dentures that fit like a glove. They are so comfortable and very natural looking. I sometimes even forget that I am wearing dentures!